A newly completed home in the Miami Beach neighborhood of Normandy Shores just sold for a record $5.15 million. 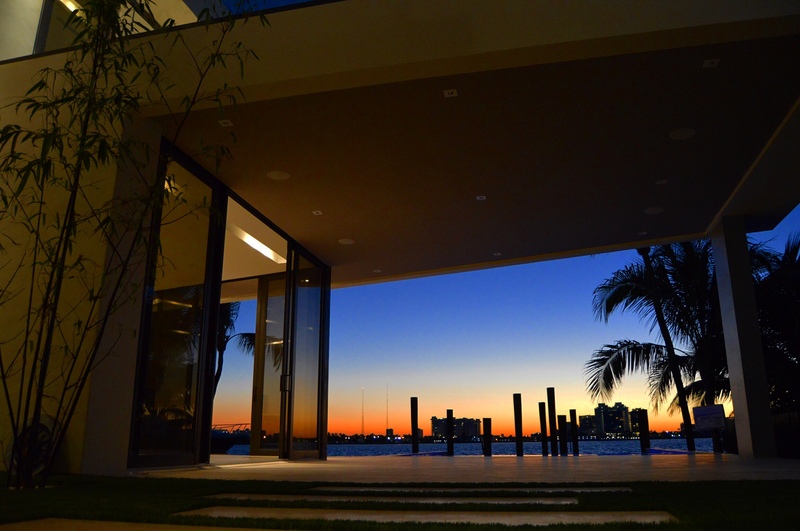 Venezuelan developer Humberto Ramirez sold the waterfront, 5,000-square-foot home at 2430 North Shore Terrace to an undisclosed local buyer, listing agent Brett Harris told The Real Deal. Harris, director of luxury sales at Douglas Elliman, said the deal breaks the neighborhood’s previous record of $3.02 million for the mid-century home at 1001 North Shore Drive, which sits on a larger 16,300-square-foot lot. The home, completed in March, sits on a 9,856-square-foot lot with 70 feet of water frontage. The developer paid $1.3 million, or more than $130 per square foot, for the property in 2013. And before that, it sold for a mere $165,000 in 1984. Harris said he took the listing over from another agent, relisted it for $5.75 million, and found a buyer in less than two weeks. Capital International Realty also represented the seller, while Coldwell Banker’s Giselle Bonetti represented the buyer. The sale has not yet cleared county records. While the deal marks a record for the gated neighborhood, other properties are on the market in the same price range. A 5,500-square-foot waterfront spec house at 847 North Shore Drive was listed for $6.9 million earlier this year, according to Realtor.com. An older home at 1115 North Shore Drive, being marketed for the land, is currently listed for $4 million.